HANGER : Is the t-Shaped, largest and most visible part of the truck,also the grind area that supports the axle, which runs through it. AXL: Is the long pin that runs through the hanger and will attach to the wheels and bearings. 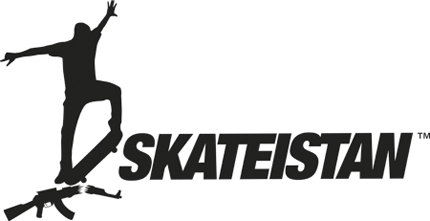 BASEPLATE : Is the flat and drilled part of the truck, which mounts directly to the skate deck. The pivot cup, where the hanger is embedded, and the King Ping, are in the baseplate. BUSHINGS : The bushings are the rings fitted around the kingpin, made from Urethan, that allows the board to turn and pivot smoothly. Most of the new trucks, have soft bushings, so if you want them a bit harder, we recommend you to buy it separately. KINGPIN : The Kingpin is the long bolt that fits inside the bushings to hold the skate truck parts together. RISERS: Risers are not a part of the truck, and are optional only used in case you want to raise up the truck or avoid vibrations. The distance between the hanger and the baseplate is known as truck profile. Depending on how you want to skate, you could be more interested in one or other profile. LOW : Low trucks are designed for small wheels, and gives extra stability on technical tricks such as flips. 50-53mm is a perfect wheel size for low trucks. MEDIUM/HIGH : Recommended if you want versatility, street and transitions, and also cruising with the higher options. High trucks allows you to use big wheels. We recommend you diameters from 54mm in advance. 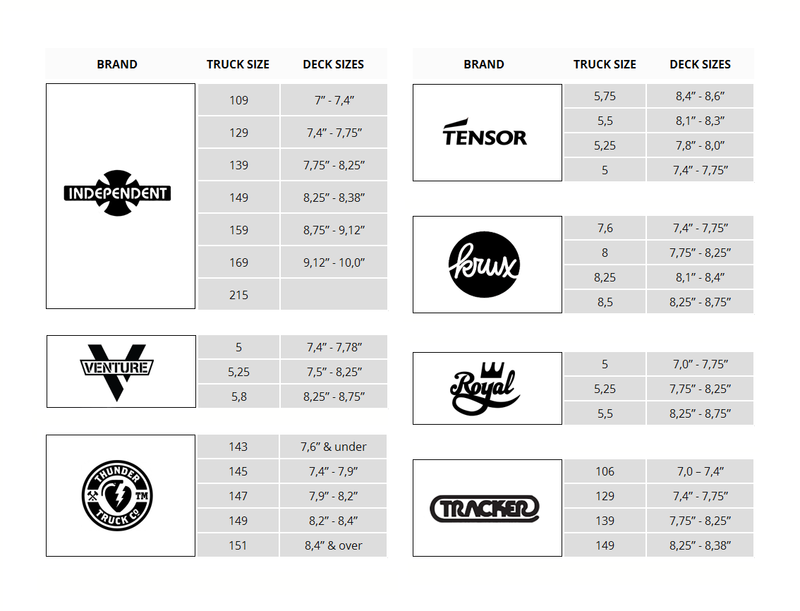 If you are starting, or you just want to skate a bit of everything, we recommend you medium-high trucks.